How possible is the impossible? Nirmal, called Nims Purja has baptized his challenge “Project possible”. 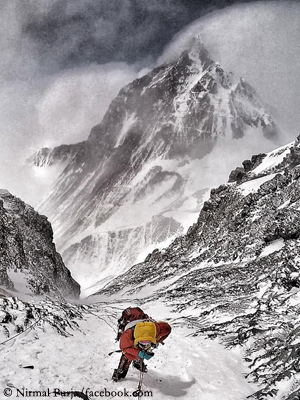 In just seven months, the 36-year-old wants to climb all 14 eight-thousanders. That sounds wacky, if not crazy. 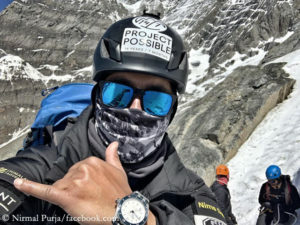 By the beginning of June, the Nepalese wants to have scaled six eight-thousanders in his home country: Annapurna, Dhaulagiri, Mount Everest, Lhotse, Makalu and Kangchenjunga. In summer, the five Pakistani eight-thousanders are to follow: Nanga Parbat, K2, Broad Peak, Gasherbrum I and II. 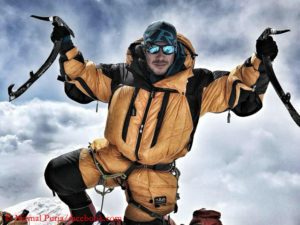 And in fall he wants to complete his collection by summiting Manaslu, Shishapangma and Cho Oyu. „I firmly believe that everything in life is possible armed only with a determined approach and positive mindset,” says Nims. He will persist until he succeeds, says tough Purja: “I was not delivered into this world in defeat, nor does failure course in my veins. I am not a sheep waiting to be prodded by my shepherd. I am a lion and I refuse to talk, to walk, to sleep with the sheep. I will hear not those who weep and complain, for their disease is contagious. Let them join the sheep. 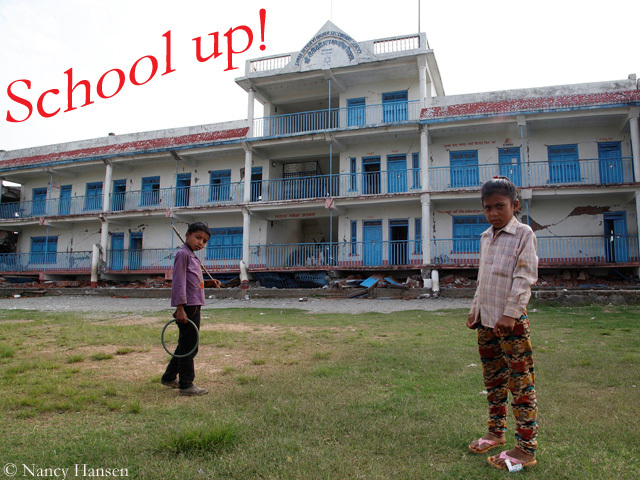 The slaughterhouse of failure is not my destiny.“ The somewhat martial tone is not without reason. Nims has just finished his service in the Gurkha brigade of the British Army after 16 years. In 2017, Nirmal scaled Everest twice. As the leader of a (successful) British Gurkha expedition, he reached the summit at 8,850 meters along with the rope fixing team on 15 May. Just two weeks later the whole world talked about him: Within just five days Purja stood on top of three eight-thousanders: on 27 May on Everest, on the same day – exactly 10 hours and 15 minutes later – on Lhotse and on 1 June on Makalu. This gave him three entries in the Guinness Book of Records. The Ghurka has estimated the total cost of his project at 750,000 pounds sterling (around 880,000 euros). To get started, he has taken out a mortgage on his house. A crowdfunding campaign on the Internet has so far only brought in a little more than a tenth of the targeted sum. 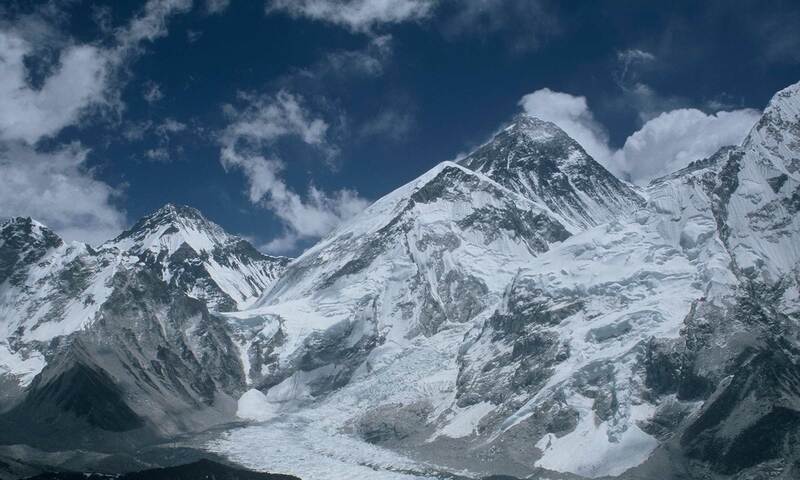 That’s why Nims is currently working on Annapurna – the first of the 14 eight-thousanders he wants to scale within seven months – as an expedition leader in order to keep costs down. So it is not only a race against time, but also against bankruptcy. Where to with the dirty K2 laundry?